Features: The River Street Inn Hotel in Truckee was built in 1885 and sits on the banks of the Truckee River in Old Town. 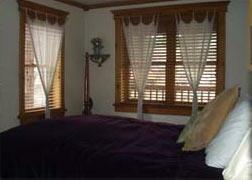 The historic River Street Inn Truckee is the perfect place to get an old time feel for Truckee. 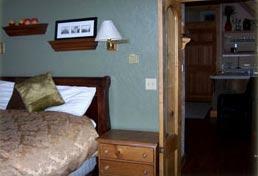 The newly remodeled guest rooms at the River Street Inn Truckee are cozy, comfortable and have flat screen televisions. Why We Stay: The friendly staff at the River Inn Truckee make you feel right at home and greet you every morning with a complimentary continental breakfast. Old Town: Located in the heart of Truckee's Old Town, the River Street Inn Truckee is surrounded by unique shops and restaurants. Truckee River: The River Street Inn Truckee rests on the banks of the Truckee River, which is popular for fishing and river rafting. Stay & Play Packages: The River Inn Truckee often offers great Stay & Play Vacation Packages, so contact the innkeeper  by phone or email to find out about current deals and promotions. Inside Knowledge: The River Street Inn at Truckee is just a block away from the train tracks;  if you are a light sleeper, bring earplugs. 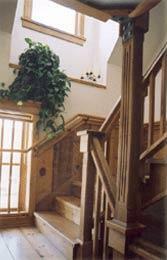 Do Bring Family: The River Street Inn at Truckee welcomes your whole family to this genuine Truckee experience. 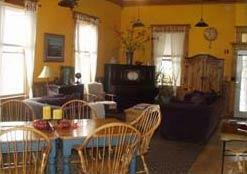 Many people reserve the entire inn as a popular location for a family reunion. Do Check Promotions: The River Street Inn Truckee often offers Stay & Play Vacation Packages for the whole family, so be sure to check out what's going on at this historic bed and breakfast in Old Town. Don't Miss Breakfast: Definitely don't miss out on the free continental breakfast at the River Street Inn at Truckee before you start each Lake Tahoe adventure. Don't Smoke: The River Street Inn Truckee is a smoke-free property, so try not to smoke on the premises. 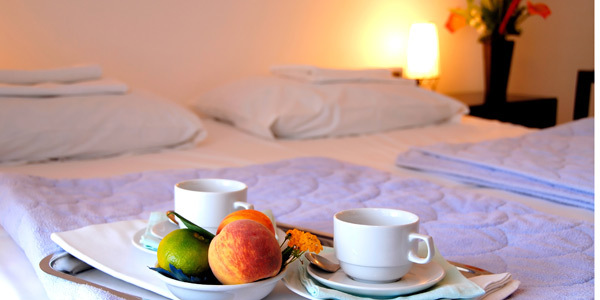 These rooms come fully furnished with a comfortable queen-sized bed and a private bathroom. 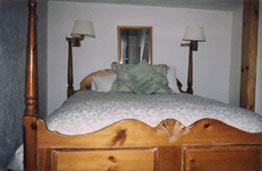 All rooms at the inn are recently remodeled with flat screen televisions, and have wonderful views of the Truckee River. 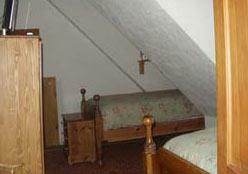 These guest rooms have two cozy twin beds and a flat screen television. 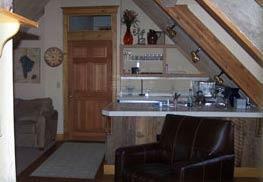 Enjoy the use of a private bathroom and great views of the Truckee River. 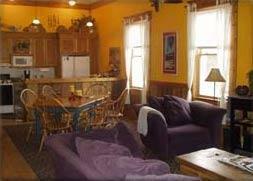 This 900-square-foot apartment suite is great for families and sleeps up to six people. 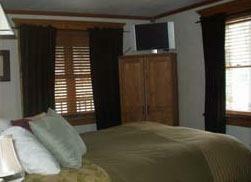 The suite comes with comfortable beds and a spacious living room equipped with a flat screen television. 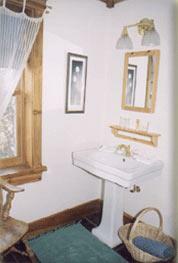 Enjoy a private bathroom and beautiful Truckee River views.